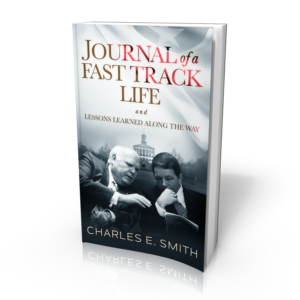 In more than five decades of professional life, Charles E. Smith has held primary leadership roles in education, journalism, and state/federal government. During his years in Tennessee, he served as chancellor of the Tennessee Board of Regents for six years and as the Tennessee Commissioner of Education for the seven years. He also served as chancellor of two University of Tennessee campuses, as vice president over two separate divisions of UT’s statewide university administration, and as editor of both weekly and daily newspapers in Tennessee. He began his career in 1961 as editor of the Sparta Expositor in White County, becoming the youngest newspaper editor in Tennessee. During his first year, he won an award from the Tennessee Press Association for writing the state’s best editorial of the year. He later became managing editor of the Putnam County Herald and Cookeville Citizen and news editor of the Nashville Tennessean. In 1967, he joined the University of Tennessee as editor of the UT news bureau in Knoxville. The following year he was named the school’s director of public relations. He served as executive assistant to the UTK chancellor from 1971-73 and as executive assistant to UT President Edward J. Boling from 1973-75. In March 1975, he was named chancellor of UT Nashville and vice president for public service in UT’s statewide administration. 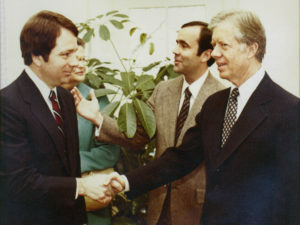 Following the federal court-ordered merger of UT Nashville and Tennessee State University in 1979, Smith became editor of the Nashville Banner, a major Tennessee daily newspaper. Later that year, he returned to UT as chancellor of the University of Tennessee at Martin, where he served for six years. 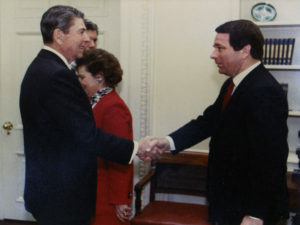 Smith completed his tenure at UT while serving as system-wide vice president for administration from 1985 until he joined Governor McWherter’s cabinet as commissioner of education in 1987. While serving as commissioner of education, Smith was responsible for drafting, selling and implementing the governor’s 21st Century Schools Program, at that time the most comprehensive K­-12 education reform effort in the nation. In 1994, Smith became chancellor of the Tennessee Board of Regents, serving as chief executive officer of the seventh largest system of post‑secondary education in the nation, with 46 campuses, 180,000 students, and a budget of over a billion dollars. 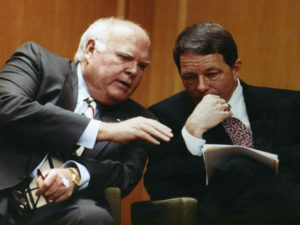 During his tenure as chancellor, Smith presided over successful searches for presidents at nine Board of Regents campuses. He retired in January 2000 and was granted chancellor emeritus status by unanimous vote of the Board of Regents. 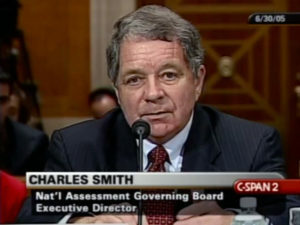 With 32 years of service in Tennessee state government completed, Smith accepted in 2003 a post-retirement position to serve in the administration of George W. Bush as executive director of the National Assessment Governing Board which sets policy and oversees development of the National Assessment of Educational Progress (NAEP), often referred to as the Nation’s Report Card. He served two three-year terms in that role. In 2008, Smith accepted appointment as vice president and head of ACT’s Washington, DC office where he served for five years. He received a Fulbright Scholar Award in the summer of 1980 to lecture at the Federal University of Santa Catarina in Florianopolis, Brazil. He was chosen in a 1986 national survey as one of the nation’s top 100 college educators. 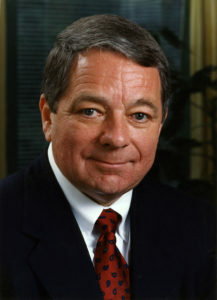 Smith was awarded the Peabody College Distinguished Alumnus Award in 1993. He was a member of the Peabody Alumni Board from 1994 to 1999 and served as president of the Board in 1997-98. From 1987 to 1993, Smith served on the ACT Board of Trustees, the national governing arm of the American College Testing (ACT) Program, Inc., based in Iowa City. While on the Board, he served as chairman of the Budget and Finance Committee and as a member of the Executive Committee. Smith served two three-year terms as a member of the Southern Regional Education Board (SREB) and was elected Vice Chairman for the 1994-95 term. As Vice Chairman, he also served as a member of the SREB Executive Committee. Smith holds the B.S. degree from UTK and the master’s and Ph.D from Peabody College of Vanderbilt University. 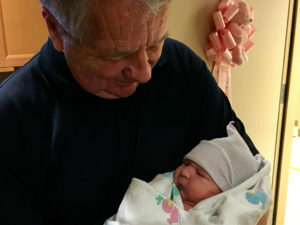 He has 2 children, 5 grandchildren, and one great granddaughter, Shawna Rae. He lives in Nashville with his wife, Barbara.